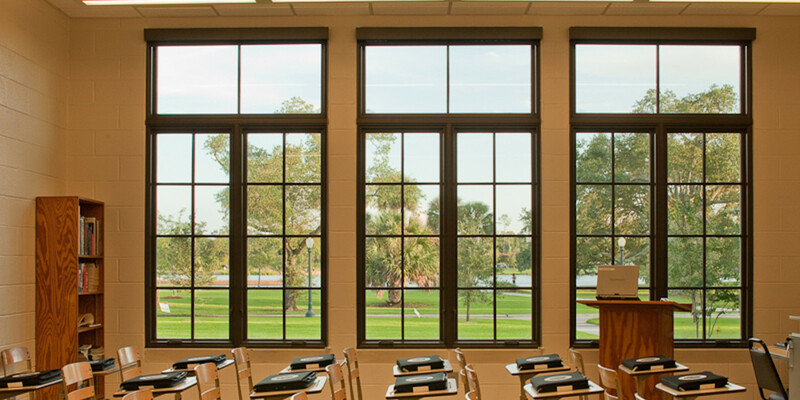 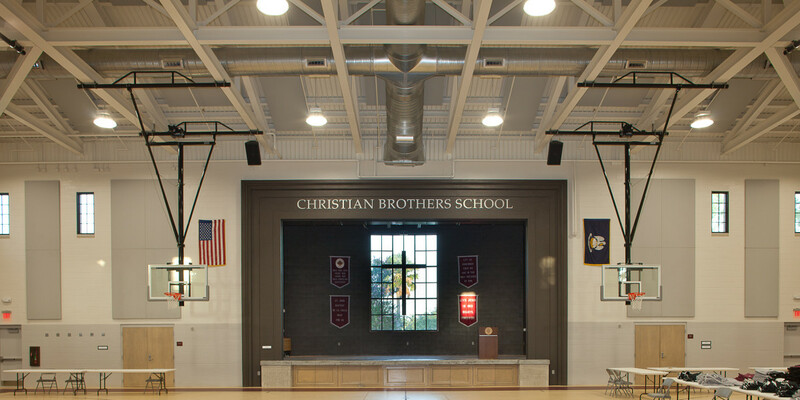 The design for the 15,000SF expansion and renovation of the Christian Brothers School, located in the heart of New Orleans’ famous City Park, presented opportunities and challenges. 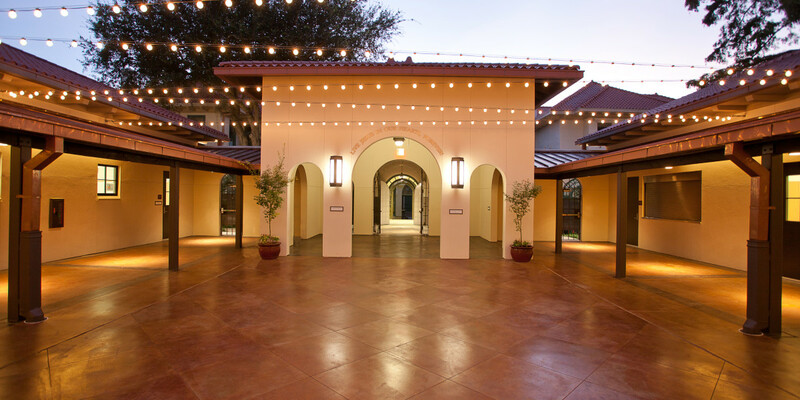 Critical to the success of the design were the key components of scale, materials, color, and transition. 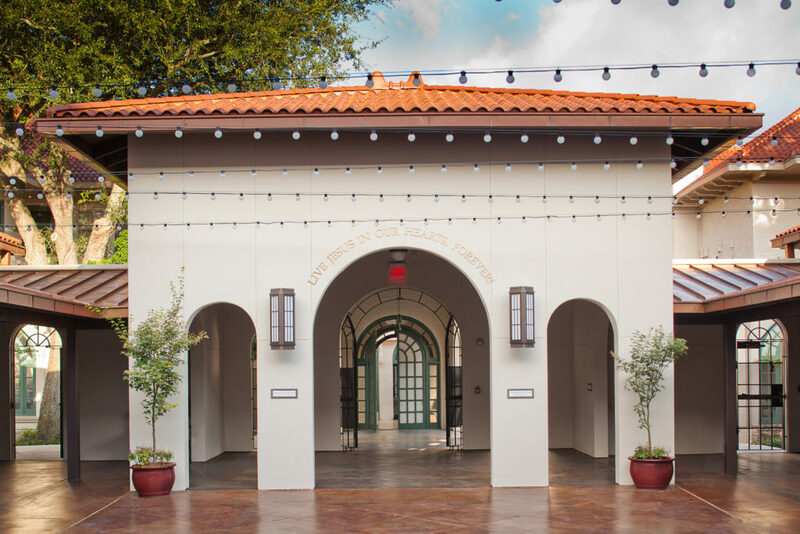 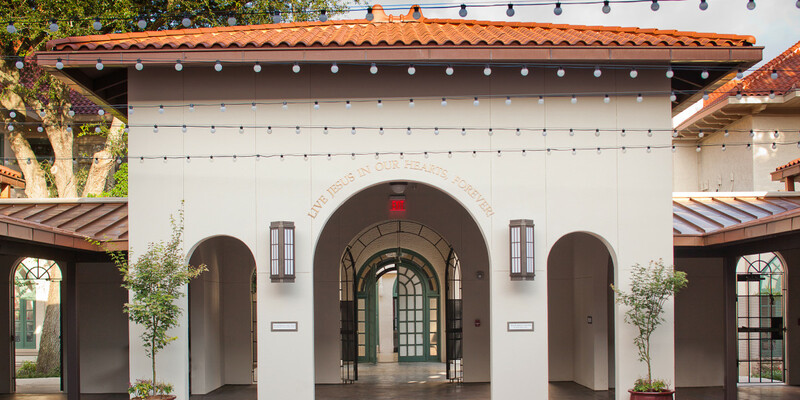 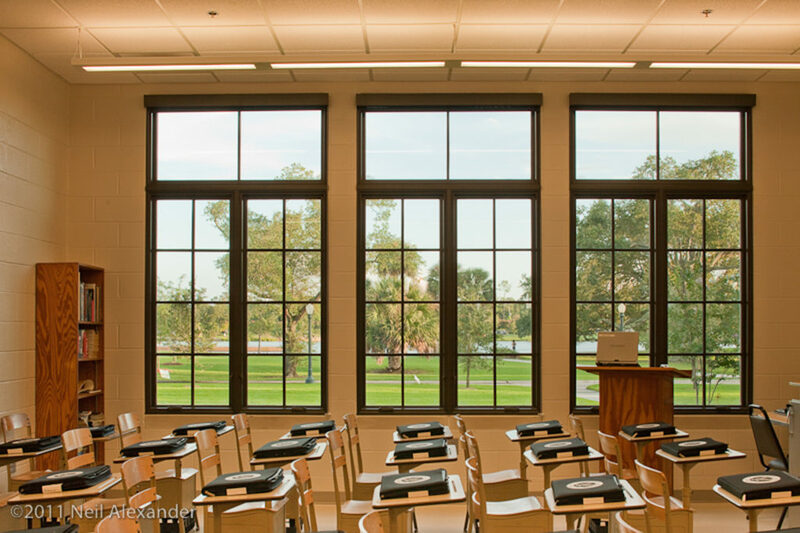 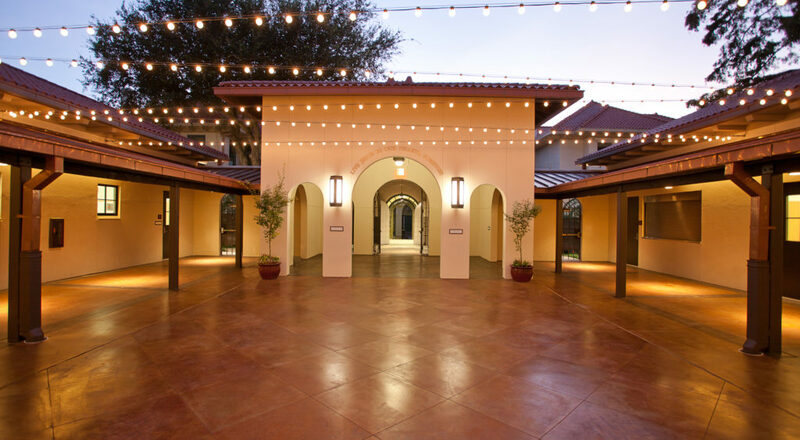 Due to Christian Brothers School’s prominent location in City Park, the new addition had to aesthetically complement the Santa Barbara Mission style of the existing school. 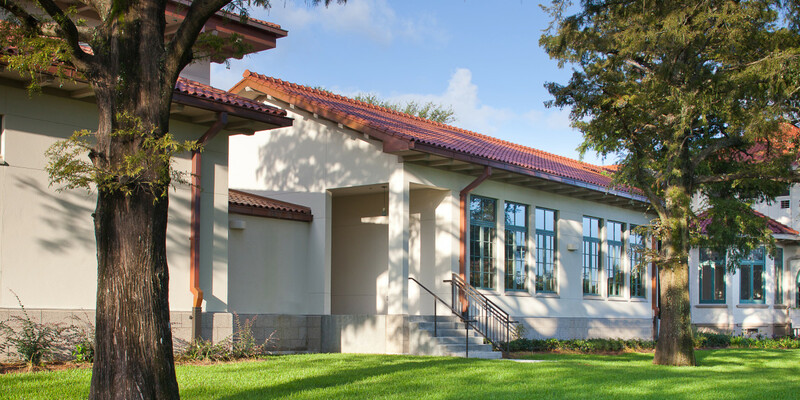 The scale of the new multi-purpose facility was diminished visually by the design of a balanced transition echoing the roof eave lines of the original structure. 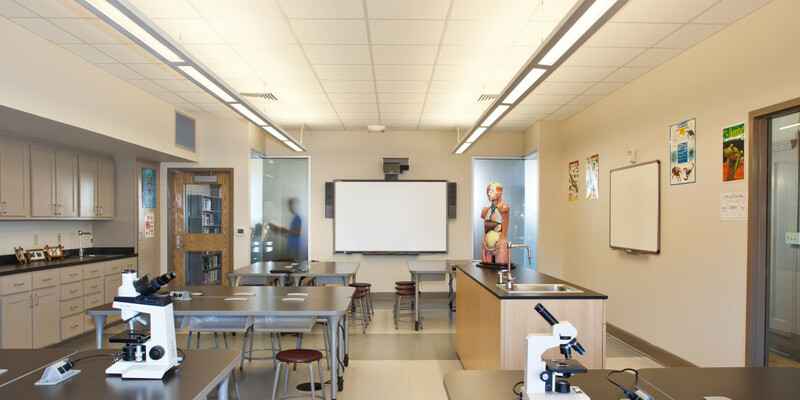 The existing school building, a former vacation mansion converted into an educational facility in 1960, received a new science lab, a technology lab, and library, derived through a creative repurposing of the mansion’s second floor ballroom that had served as a non-regulation gym for 50 years. 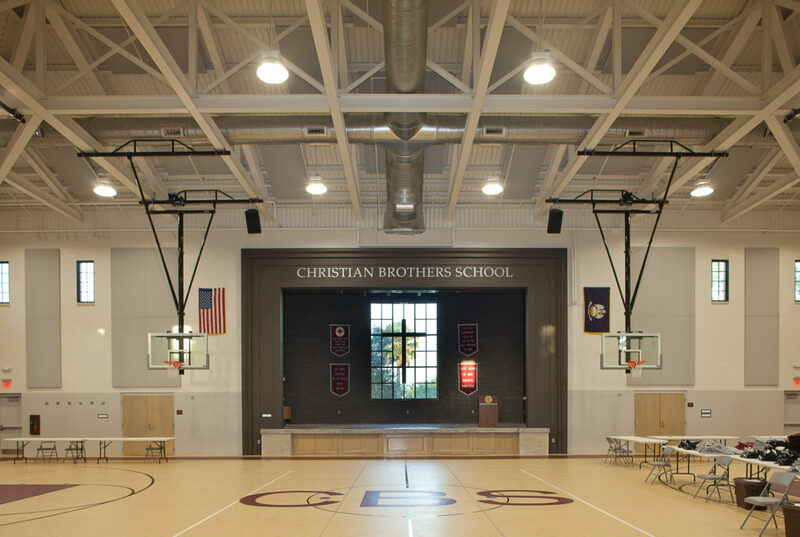 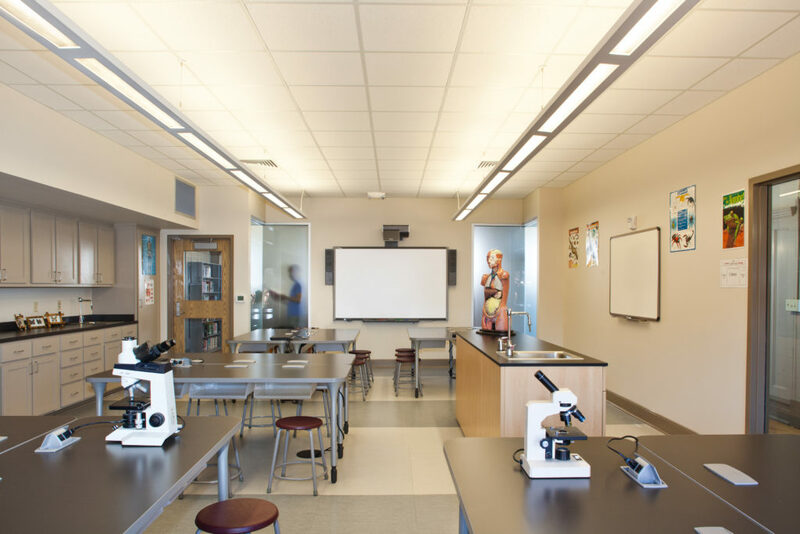 The new addition provided a multi-purpose hall, four new classrooms, offices; restrooms; and general storage. 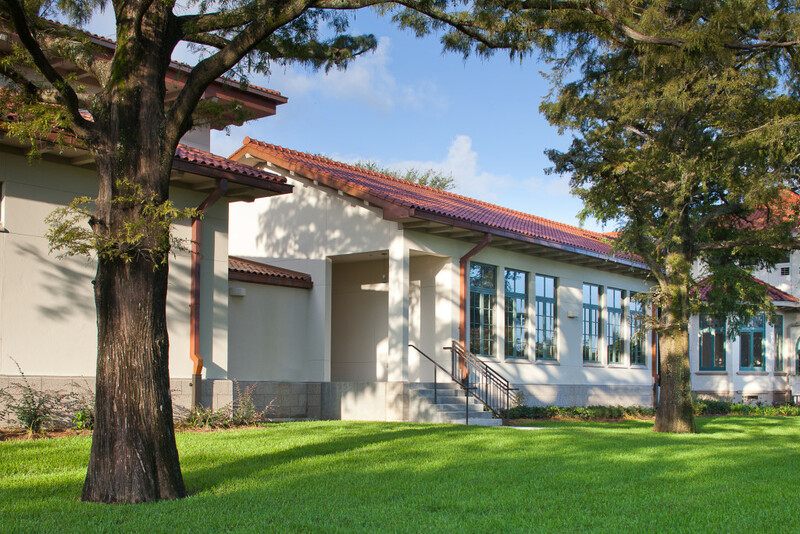 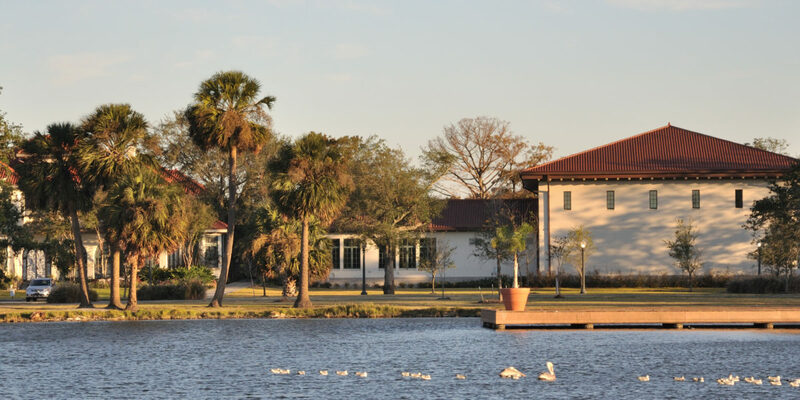 The new addition had to fit within a strictly allotted site adjacent to the existing school, and City Park mandated protection and preservation of all trees on site including historic live oaks.